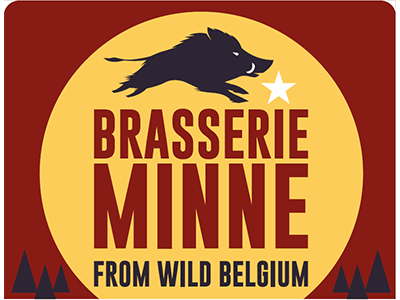 Brasserie de Bastogne or should we say 'the brewery formerly known as Brasserie de Bastogne' as they are now known as Brasserie Minne. The name change came with big plans cause they're moving into a bigger facility, the quality and popularityy of their beers had them maxing out their first brewery in no time. A bigger brewery means more good beer for all of us. Beautiful fresh and hoppy beers, brett fermented Saisons, firm stouts...and we're not even talking about their outstanding barrel aged experiments. Classic yet daring, ever so balanced. One place to taste them, 25&26/08 --> BXLBeerFest 2018.